I know a lot of you liked the player holding the ball better, but I’m happy with this one. This is a sunrise at a morning practice at Aledo High School. Aledo is unusual in that it has an East-West facing field and that they practice before school rather than after. 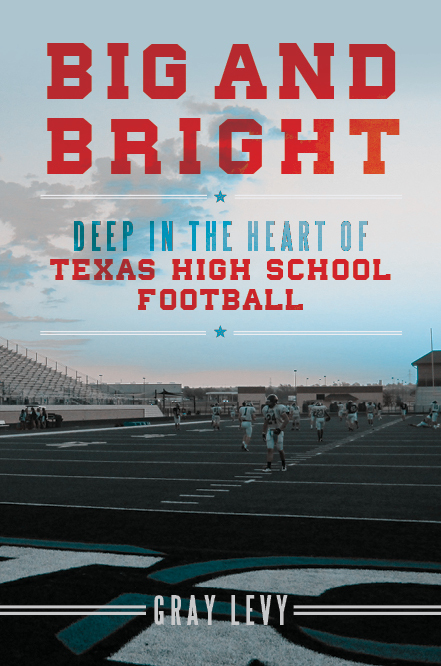 To me, the picture fits well with the title and the content of the book… A BIG Texas stadium with a BRIGHT sky and kids working before most of their classmates have even gotten out of bed. Sorry if you don’t like the cover, I hope you’ll like the book!! Finally, I got these from my publisher!!! Here are three possible covers. Let me know what you all think!! As always, the football was outstanding. Congratulations to Canadian High School for winning the 2A D-2 title, beating the Mason Punchers 34-7. I never made it up to Canadian, (in the far northeast corner of the Panhandle), but I spoke several times with their coach Chris Koetting. 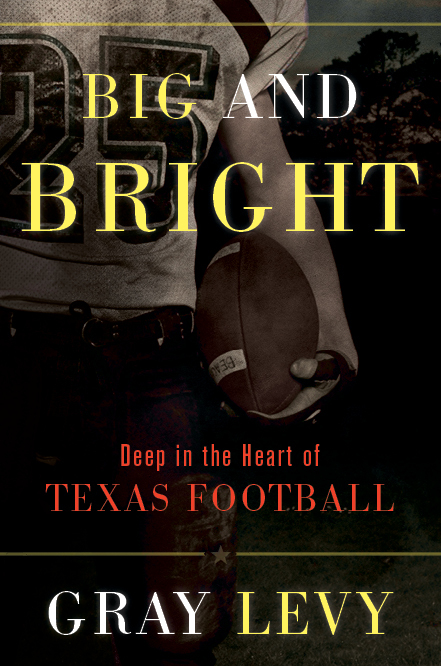 His program was featured in another book about HS football and he was a great help to me in helping find several of the teams I ended up following for Big and Bright. 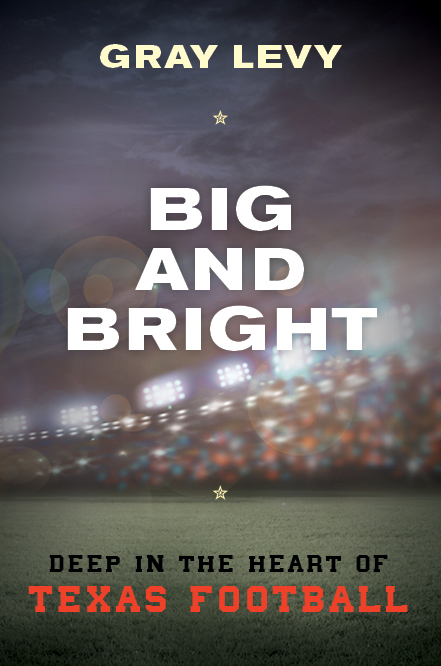 Two Big and Bright schools played and both games were outstanding. Aledo won their second straight and 5th title in 6 years.. An amazing run for any school. With a 35-17 halftime lead the Bearcats looked like they would breeze to another title, but the Temple Wildcats proved themselves a tough opponent, climbing all the way back and taking a 45-42 lead with 5 minutes to go. The Bearcats moved down the field and scored the winning touchdown on a Luke Bishop run with just 47 seconds on the clock for a 49-45 win in front of over 40,000. Over 46,000 saw the next game. 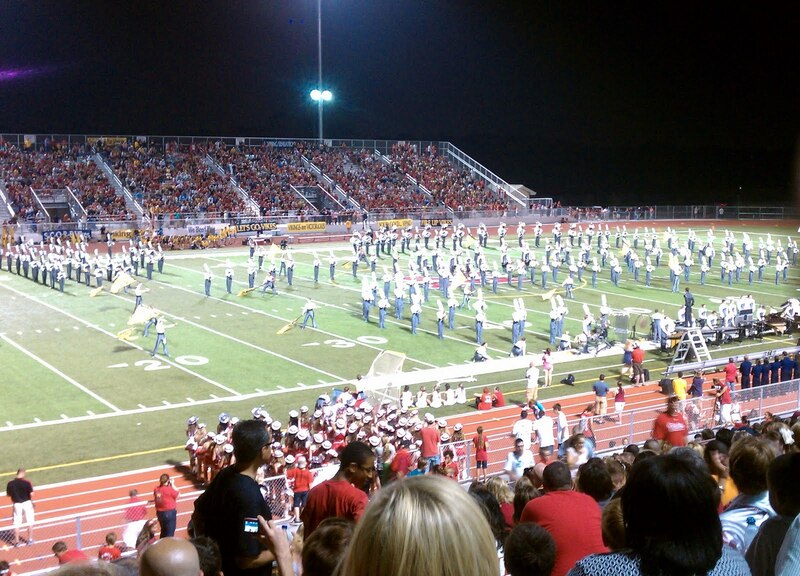 The rubber match between Cedar Hill and Katy. I’m not sure, but I doubt the same two schools have ever played for Texas championships three straight times. Katy beat the Longhorns in 2012, and Cedar Hill overcame the Tigers in 2013. While all three games were entertaining, this year’s installment was the most well played of the three. Both defenses were outstanding. The game went back and forth, Katy led by 11 at the half, before the Longhorns took the lead with two third quarter Demarkus Lodge touchdown catches. (I predict Lodge’s name will be very familiar in a few years) Katy Rebounded and retook the lead late in the 3rd. Cedar Hill tied the game on a 44 yard Brooks Ralph field goal and took the final lead 23-20 with another field goal with 2 seconds remaining. It was a great three days for Texas football, all together almost a quarter of a million people attended the 10 games over three days. Congratulations to all the champions and I wish I could have been there. I hope all my Texas friends had a great holiday season.